Yesterday it began raining immediately after I grilled the last burger. This was a welcome change to what has been happening for the year up until now which is that it starts raining the second I start grilling and stops immediately when I finish. Today the rain carried on through much of the morning causing us to cancel our plans to go out for the day and instead we had a friend over for an afternoon Sunday dinner. Jen says that, on occasion, her family would have a Sunday dinner where they ate in the middle of the afternoon. This was not something that happened in my family or our dinner guest's family. However, conditions were perfect today for such a Sunday dinner. Two Christmases ago Jen got me this Himalayan salt block. Ever since then she's been chastising me for never using it. 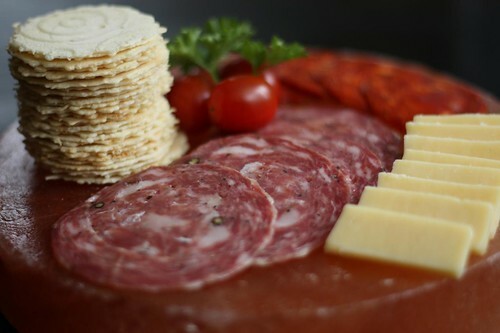 While I worked on dinner I decided to give it its inaugural use by topping it with some hot soppressata and genoa salami, leftover Irish cheddar from last night's burgers, and some 34° Crispbreads. 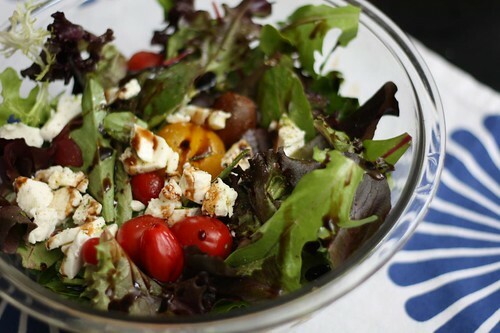 For salad I tossed some of the remaining New Jersey arugula with spring mix, grape tomatoes, fresh mozzarella, balsamic, olive oil, salt, and pepper. 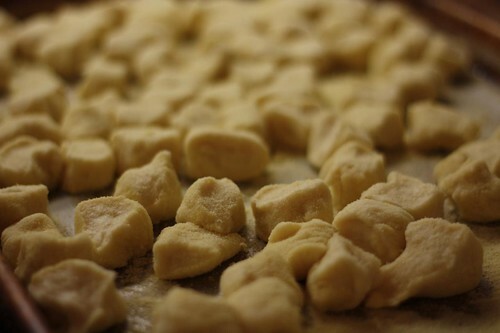 I decided to make gnocchi for dinner today so I boiled some potatoes, put them through a ricer, added some flour, egg, and salt, then rolled them out, cut them, and boiled them in water until they floated. In a separate pan I heated up some olive oil and butter then tossed in some crushed garlic. 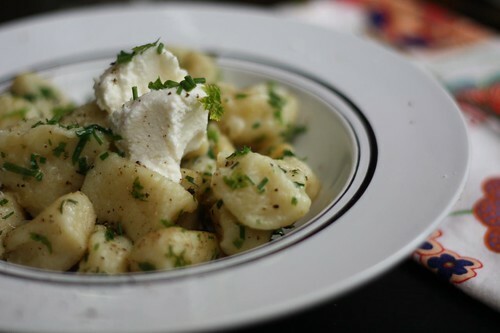 After throwing in the cooked gnocchi I tossed them with fresh chopped parsley, chives, chervil, and grated Parmigiano-Reggiano. Finally I topped them with a dollop of ricotta. 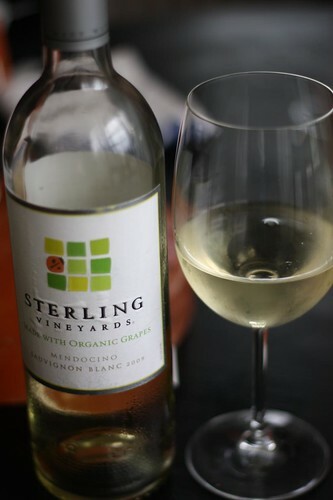 To accompany the gnocchi we opened this bottle of sauvignon blanc from Sterling Vineyards. This reminded me of the giant gallon bottle of Gallo white wine my Uncle Herb used to bring over for Thanksgiving when I was younger. I don't mean that as any sort of insult to this wine. I really loved that gallon jug of wine. I think there's far too much stigma attached to wines that come in vessels which are measured by the gallon. 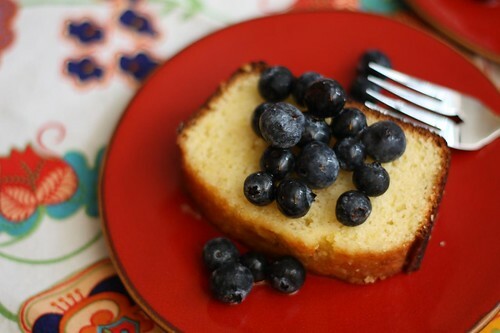 For dessert Jen baked a loaf of lemon bread which we served with lemon syrup and fresh blueberries. There's a problem with finishing dinner at 3:00 PM. When you're used to being done by 9:00 PM you encounter a Pavlovian reaction and want to immediately lie down and go to sleep. We tried to fight this off but instead just took a long nap. Now we have to figure out what we're going to do for our midnight snack at 8:00 PM.